After several attempts again to update the new Scalate based web site (dang its picky rendering tables, links), the Karaf team is pleased to announce the availability of Apache Karaf 2.1.5. This release of Apache Karaf is based off of the 2.1.x series branch, representing an update to Apache Karaf 2.1.4. It contains several bug fixes identified in the prior release, including; improved Eclipse console karaf shell output, handling TAB characters in feature repository to avoid resoultion errors when adding features to repo, and multiple fixes to the config shell. IMPORTANT: This patch release also updates the Felix Framework from version 3.0.2 to 3.0.9. Apache Karaf 2.1.5 release candidate is up for voting as of now. This update of Apache Karaf is based off of the 2.1.x series branch, representing an update to Apache Karaf 2.1.4. It contains several bug fixes identified in the prior releases, including; improved Eclipse console karaf shell output, handling TAB characters in feature repository to avoid resolution errors when adding features to repo, and multiple fixes to the config shell. As a head's up, this patch also updates the Felix Framework from version 3.0.2 to 3.0.9. Yes, the RC build was made on a macbook, sitting on top of 36 bottles of Pinot Grigio. On the stove top you can see the beginnings of my casserole. Broccoli, covered in a mixture of Mushroom soup & Mayonnaise, Cheddar Cheese, Bacon, and butter sautéed soda cracker crumbs. Ajay K. Sood, Territory Manager for FireEye. The evolution of malware has yielded some shocking results. Sophisticated botnets like Zeus/ZBOT have infiltrated numerous secure zones and established communication channels globally, giving botnet herders unprecedented access to systems and data which should be protected, were it not for the fact that these compromises are going largely unnoticed, despite current controls in place. The latest strains of modern malware have been architected to exploit stealthily via the browser and application, and leverage approved communication methods and channels to call back, which make solving the malware question all the more daunting. This presentation will take a look at the trend of modern malware, and what the challenges surrounding it are. The fifth maintenance release of the Apache Karaf 2.1.x branch has moved into the planning phase, as such I'm starting to prepare for the release management role. 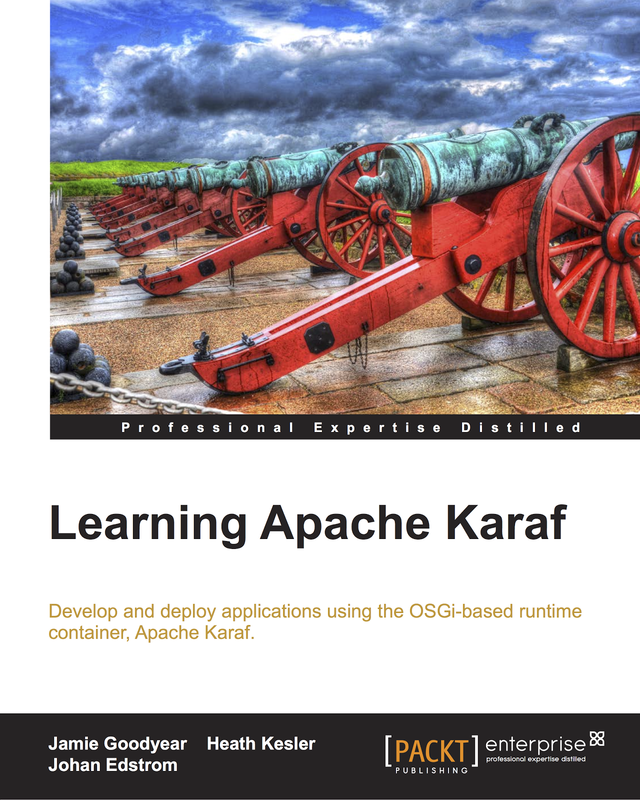 Preparing for the Apache Karaf 2.1.5 release. The wine, as always, will only be sampled after being given proper time to breath in its container - much like our RC will only be promoted after proper attentions have been made (see our release guide for more details on our process). Unfortunately I can't share the wine with you, but I can share the below link to a track from Things Fall Apart. 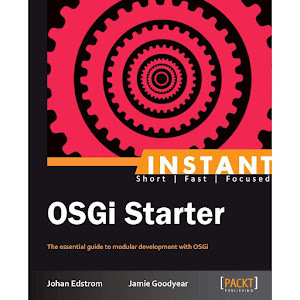 I'm looking forward to starting the 2.1.5 release process. I'll be posting updates to our Twitter stream (#karaf) and on our IRC channel (irc.codehaus.org #karaf). Kellman Meghu, Security Engineering Manager for Check Point Canada. Is your organization moving towards virtualization? The push for greener solutions that do more with less, has made people take a hard look at a virtualization strategy for managing infrastructure. Multi-core architectures have brought a new level of power to the end users, but without the software being specifically designed to take full advantage of it, there is no perceivable benefit coming from these systems. This presentation seeks to demonstrate unique ways to not just ensure threat management for a virtual infrastructure, but to also leverage it as part of the infrastructure change. When you take away the buzz, and the clouds abate, will you be left with clear skies? 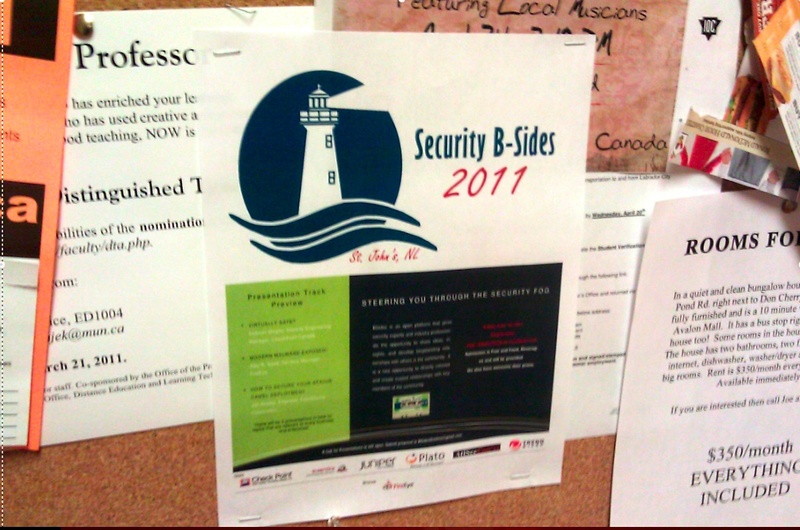 Security B-Sides St John's Posters! The first maintenance release of the Apache Karaf 2.2.x branch has moved into the planning phase, as such I'm starting to prepare for the release management role. 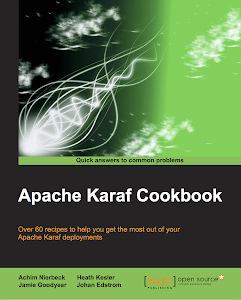 Preparing for the up coming Apache Karaf 2.2.1 maintenance release. Unfortunately I can't share the wine with you, but I can share the below link to a track from Seeds. I'm looking forward to starting the 2.2.1 release process. I'll be posting updates to our Twitter stream (#karaf) and on our IRC channel (irc.codehaus.org #karaf). 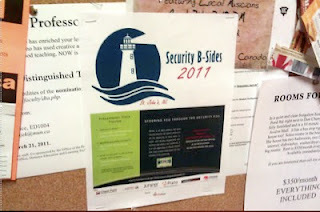 BSides St John's 2011 Logo and Slogan unveiled.